The cost of interior parts has gone thru the roof and fixing the existing parts can make a lot of sense. I started repairing auto upholstery in DFW over 35 years ago. I know what works and what doesn't work. If you click the links below, you'll find good advice as to when repair and maintenance will work to your advantage. Check out the before and after pictures. Upholstery repair gives you more options. If you have a problem, and are considering replacement , it could pay to explore what I do for my customers. If you would like to understand when a repair is not your best option, please take a look at my Limitations page. I spend a lot of time trying to get out of certain jobs and it might be a timesaver for you to see what type of jobs I try to avoid. 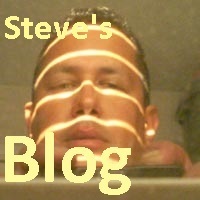 If you want to learn about specific issues related to upholstery repair check out my blog. without drying out or damaging your leather. Click here to see why you don't want lacquer base paint on your leather upholstery. I like to oil the leather before any repair because the leather needs this and you can't get the oils to the leather fibers after the repair is done. You can't do this with with a mineral oil or silicone product. If you're looking for to refurbish your upholstery, you need to look at the service I can provide for you.